Benefits of Composting | Bringing together stories, rooms, life. 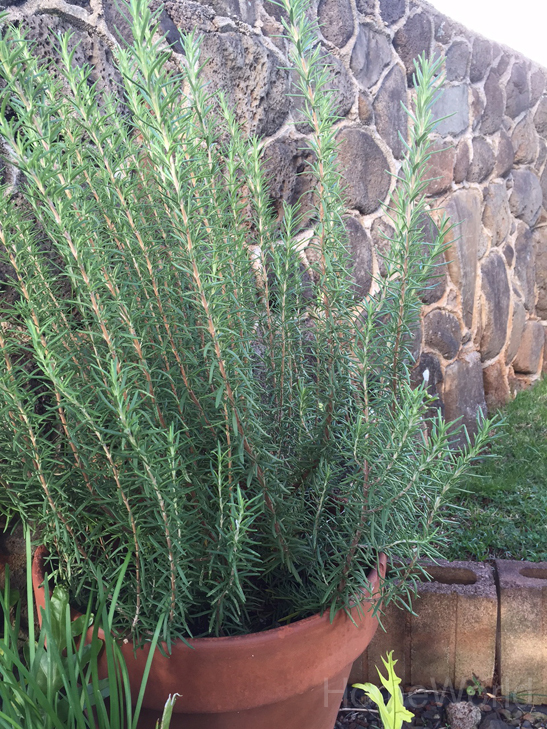 One of my successful herbs, rosemary is nearly overgrowing its pot. If it wasn’t for my low tolerance for heat, sweat, mosquitoes, hard labor, and dirt, I would have definitely become a farmer. Although my garden is a work in progress, it’s satisfying to grow and harvest my very own food and decorate my rooms with plants and flowers from my backyard. 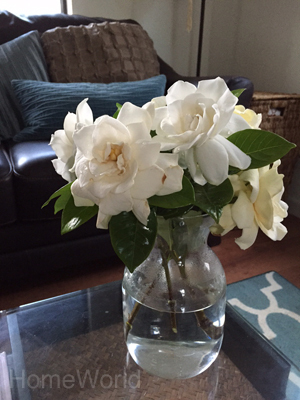 Love to bring in the sweet fragrance of gardenias this time of year. Growing all things green comes with help from my compost. Technically, I vermicompost or worm compost. Worms recycle food scraps and other organic materials such as used coffee grounds and eggshells into nutrient-rich soil called vermicompost. My vermicompost is kept in the backyard, protected by wind and direct sunlight most of the day. Worms are sensitive to light. 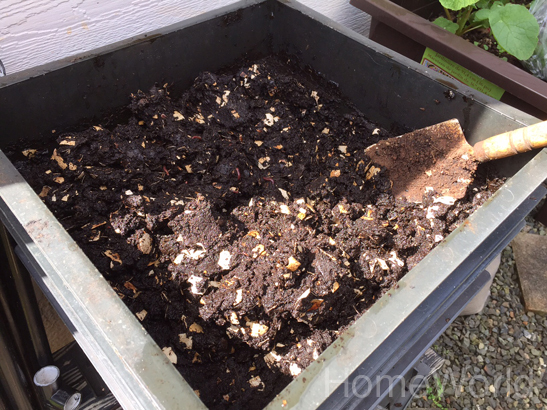 Regular composting (without worms) takes 6-12 months to breakdown. Many gardeners choose to compost their grass cuttings and brown leaves. But vermicompost is much faster. Because worms eat twice their body weight in a day, worms turn food scraps into rich soil in half the time. And since I feed the worms potato and banana peels, papaya shells, wilted lettuce, and melon rinds, I have a lot less garbage to add to the landfill! The obvious benefit, of course is a healthy garden with bountiful produce. That’s something every gardener, especially a farmer-want-to-be like me wants. 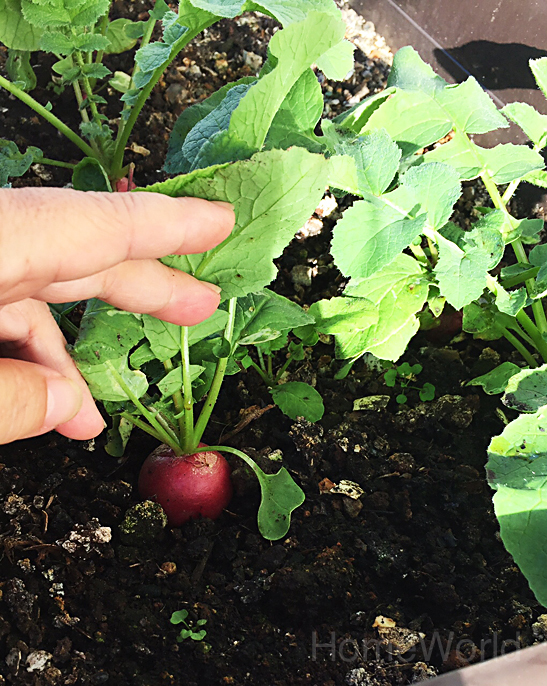 My first crop of radishes grown with a mixture of compost and potting soil. Had to include pictures of my co-worker’s thriving, lush garden for us amateur gardeners to be green with envy! One day, I want my garden to look like this! Do you compost? Do you think you might want to start soon? 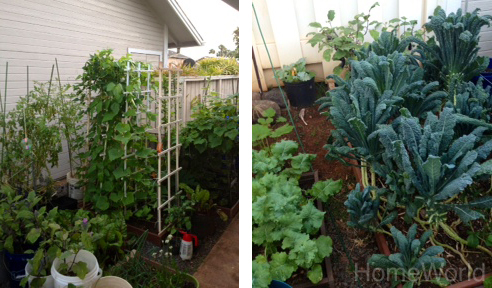 This entry was posted on May 8, 2015 by Terri Dux in Outdoor Space and tagged backyard, compost, edible gardening, family, gardening, gardens, Hawaii, herbs, home, HomeWorld, HomeWorld Furniture, outdoors, radishes, rosemary, vegetable gardening, vermicompost, worms.